Author: Tomlinson, Max Set In . . . In 1987, the dirty war that will last twelve years and kill thirty thousand Peruvians finally reaches up through the Andean cloud forest for Nina and her family. Nina’s father is shot by soldiers, her mother raped, and her brother lost to the shadowy ranks of Shining Path guerrillas. And when Agustín Malqui, the village pastor, files a legal complaint against the military, it’s no surprise when he disappears in the middle of the night—just another casualty of the military regime. 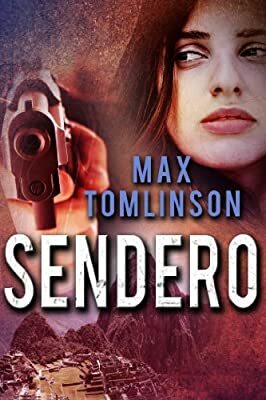 Twenty-odd years later, Nina, now an officer in Cuzco’s tourist police, comes across a familiar name on the police printer that she scans daily for any trace of her long-lost brother. Agustín Malqui is alive. After spending years in a political prison, the broken pastor has been wandering the country, saving souls and drowning his demons in pisco. Nina tracks him down, only to lose him yet again in a police sweep of political malcontents. But before Malqui disappears, he tells her a drunken tale she can scarcely believe: that her brother Miguel is still alive. Despite warnings and threats from her chief and the pleadings of her lover, an officer in Peru’s anti-terrorist branch, Nina presses on to find Malqui. Her search takes her through Peru’s underworld, from remote villages high in the Andes to the steaming jungle haunts of the narcotraficantes, and ultimately to a secret political prison in the altiplano, where she learns the truth about Malqui and her own vanished brother.